Removal of the international sanctions that have hurt the Iranian economy in recent years promises to give a breath of relief to the Islamic Republic. Foreign companies, from oil giants to car manufacturers have lined up to make the first foothold in the sanctions-hit Iranian market in anticipation that western powers will lift all sanctions against the country soon. However, some of them still hesitate to launch activity in Iran for certain reasons. Although many companies want to do business in the Islamic Republic, some still ‘fear’ of the relatively conservative country with strict rules. European legal consultation company Cigman Solutions has recently said hesitations for doing business in Iran stems from the fact of Iran’s years of isolation from international business as the country has been under strict international sanctions. The companies are in need of guidance and assurance about lasting, profitable contracts by the government. Kamran Dadkhah, a professor of economics at Northeastern University in Boston, Massachusetts believes that the most important issue for companies is sanctity and security of their assets and investment. He told AzerNews that the government should abstain from interfering to the market for improvement of the business activity in the country. “Business and entrepreneurship thrives when government does not interfere in the market and the economy is ruled by free market forces. In the past the Iranian government has taken measures that indicate it does not respect private property, entrepreneurship, and market forces,” he said. He named corruption as one of the reasons that hinder development of business and entrepreneurship in the Islamic Republic. Dadkhah said the Iranian government is beset by a high degree of corruption as can be seen in the daily news and from official announcements. The incumbent administration accuses the previous government for mismanagement, which created favorable conditions for increase of corruption in the country. In January, former vice-president Mohammad Reza Rahimi was jailed for five years and ordered to pay $1.3 million in connection with a money laundering and embezzlement scheme worth billions of dollars. Dadkhah considers that another way of creating confidence in companies to start business in the country is amending the country’s investment law. “Iran’s international investment law is antiquated and restricts foreign investment. In particular, contracts governing the relations with the oil companies (buyback contracts) are not to the liking of international oil companies,” he said. Iran has recently unveiled new oil and gas contracts called IPC (Iran Petroleum Contract), which offers exploration, development, and production at oil and gas fields in an integrated package. Dadkhah summarized saying if the Iranian government is interested in attracting foreign investment and growth, then it has to address the issues of the sanctity of private property, corruption, government role in the economy, and moving to a free market economy. Iran is looking forward to the removal of the sanctions in the coming weeks. The lifting is to implemented under the Joint Comprehensive Plan of Action which was reached between Iran and the group 5+1 (the US, UK, France, Russia, China, and Germany) in July. 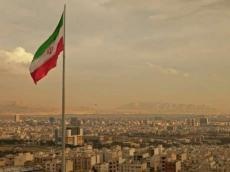 The Iranian government is especially expecting huge investments in its oil and gas sector, its leading economic sector. The energy-rich country is in need of foreign investments as it wants to develop its ageing oil and gas fields.